When is the Best Time for Pool Repair? Fall! Company Availability. In the months leading up to summer, and during the summer months themselves, pool companies are busy with new projects and maintenance work. When the season slows down, pool companies have more availability, making it the optimal time to get repairs done. Personal Timing. It is less intrusive to your schedule to repair your pool during the fall season because you are not using it. Significant pool repairs can be time-consuming, and during warm seasons it can be a hassle to deal with when you would rather be enjoying your pool. Scheduling repairs during the off-season will not interrupt your fun in the sun. Buffer Time. If you allow time for repairs to be done, the project will run smoothly for you and the pool company. There is no pressure on either side to rush, therefore more time can be dedicated to your pool. Because of this, if any other repairs are found, they can be done methodically and with great care and attention to detail. Setting Time. If you get a pool repair done in the fall while the pool is not being used, this allows the repair work to set. For instance, waiting the suggested amount of time after your tile, coping or deck has been fixed allows the work to be properly sealed and meanwhile you’re not missing out on enjoying your pool. Pool remodeling in the fall is an excellent time to make sure the job gets done properly, and that the renovation project takes place when you know and remember exactly what you wish you could change about your pool. Also, there’s no need to stress about getting pool repairs in the spring when you can do it as soon as you are done with your pool for the season. 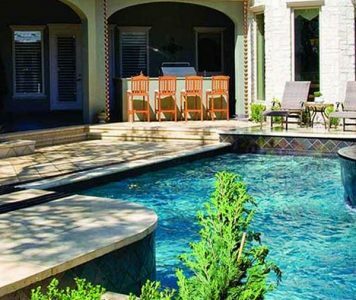 Save yourself the stress of spring and summer maintenance by scheduling a pool repair or remodeling appointment with Keith Zars Pools in San Antonio. We have a skilled and dedicated customer care department available when you need it, so give us a call at 210-987-8783 or schedule your service request at https://www.keithzarspools.com/services/.